It’s the most wonderful year around the world, and particularly in Canada. 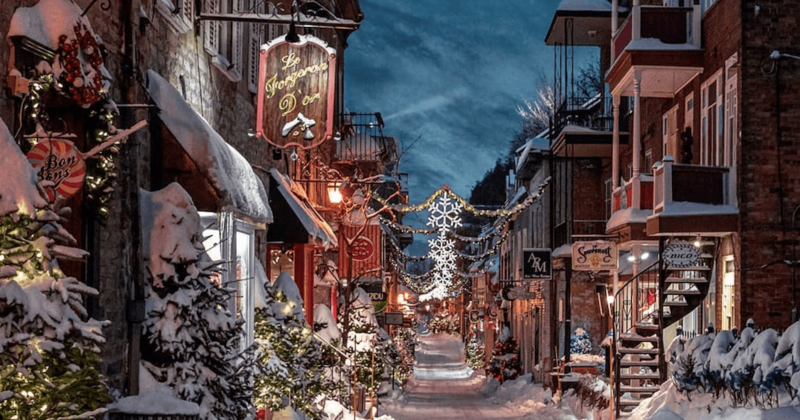 This according to a new ranking that places Canada as the number one most Christmassy country in the world. It even beat out Norway, which is a tough competitor with the recent spotting of an adorable white baby reindeer! 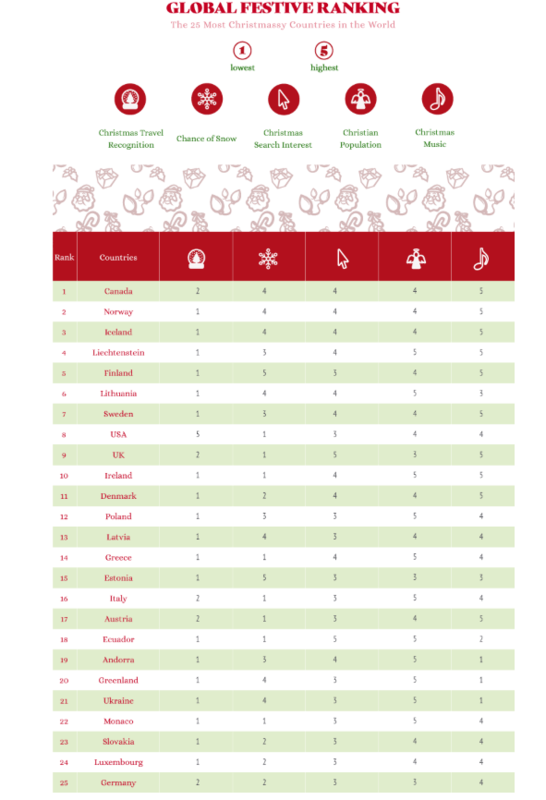 With so many different traditions, the ranking analyzed festive data, including Christmas travel recognition, the chance of snow, and the popularity of Christmas music. “Canada ranked in the number one spot thanks to the impressive amount the population listens to Christmas music; the country ranked in eighth place out of 55 countries looked at by Spotify, and their most distinctive yuletide anthem is Sarah McLachlan’s Away in a Manager,” states the ranking.